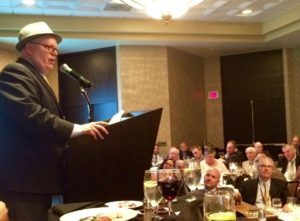 WHO WE ARE: APSE (Associated Press Sports Editors) is a national organization that strives to improve professional standards for sports departments of professional news organizations and to recognize professional excellence among its membership. WHO CAN JOIN: Membership is open to all daily newspaper administrative sports department executives, their supervisors and their assistants, regardless of whether those papers are members of the Associated Press. Online services must get approval from APSE before joining. If an online entity attempts to join and pays without approval, dues will be returned minus the cost on the processing charged to APSE, plus a $10 handling fee. ■ APSE offers excellent training opportunities through its national convention each June, regional meetings and drive-in workshops. These meetings include panel discussions, hands-on workshops, educational seminars and section critiques. ■ Concerned about cost of attending a national convention? APSE can arrange to match you with a roommate. ■ Have your section critiqued by another APSE member. This is an opportunity to receive suggestions for improvement in both content and design. Critiques can be done at regional meetings, the national convention or by mail. ■ APSE members receive an annual directory with contact information on all member newspapers, sports editors and their assistants. It’s a useful resource. 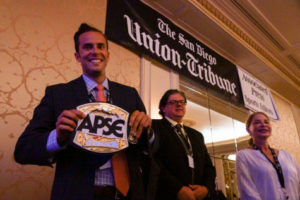 ■ Each year, APSE selects several small-newspaper editors to attend the contest judging at the organization’s expense. *Websites must be approved for membership. See bylaws for website eligibility requirements. Dues are: more than 2 million unique monthly visitors — $305; 750,001 to 2 million unique monthly visitors — $230; 250,000-750,000 unique monthly visitors — $155; under 250,000 unique monthly visitors — $95. ■ Annual writing and section contests. Contests are broken into four divisions based on circulation size. There are three section categories (daily, Sunday and special sections) and numerous writing categories as well as a new Web site category. ■ APSE helps sponsor the Sports Journalism Institute, which helps train young journalists, and the Sports Management Institute, which helps train both current and future sports editors. ■ APSE operates a successful job board on its website. Members under 100,000 circulation pay just $25 to post a job, compared to $150 for non-members. ■ APSE’s website contains stories on a regular basis, including articles that detail changes in sports departments across the country, contest results, convention information and content that is designed to enhance your sports coverage. ■ Only one person from a sports department needs to be a paid member for that paper to be eligible for the contest and to attend conventions.